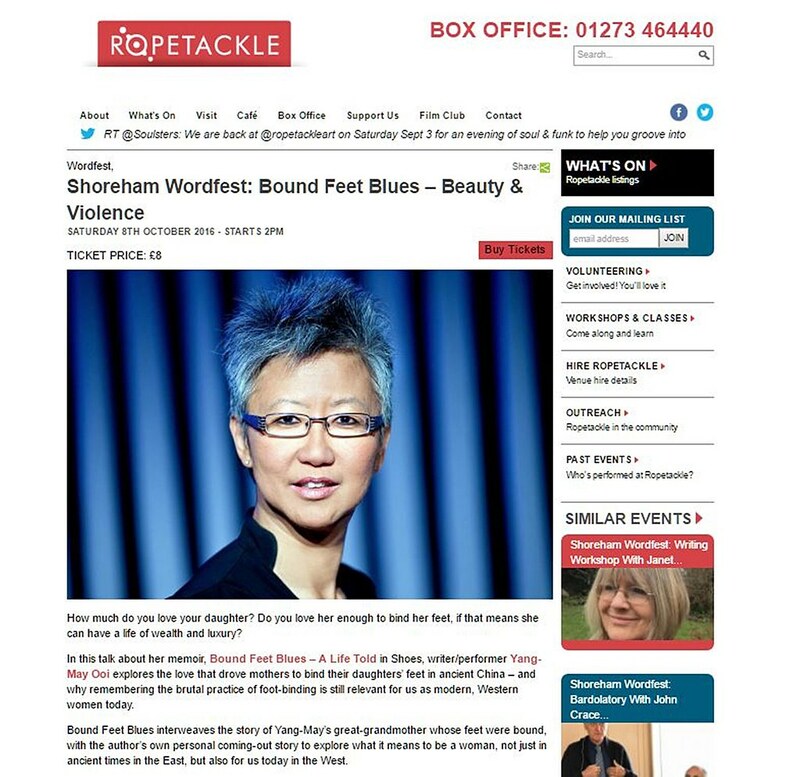 Writer/ performer Yang-May Ooi will be appearing at Shoreham Wordfest Literary Festival to talk about her memoir Bound Feet Blues: A Life Told in Shoes (published by Urbane Publications). 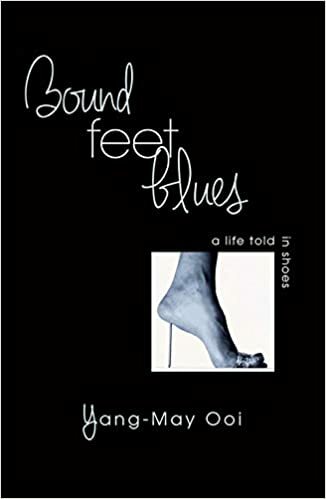 She will be discussing the key theme of the book, Beauty and Violence and why it is still relevant to talk about the brutal practice of bound feet today. Do come and join her for what will be an intriguing event! How much do you love your daughter? Do you love her enough to bind her feet, if that means she can have a life of wealth and luxury? In this talk about her memoir, Bound Feet Blues – A Life Told in Shoes, writer/performer Yang-May Ooi explores the love that drove mothers to bind their daughters’ feet in ancient China – and why remembering the brutal practice of foot-binding is still relevant for us as modern, Western women today. 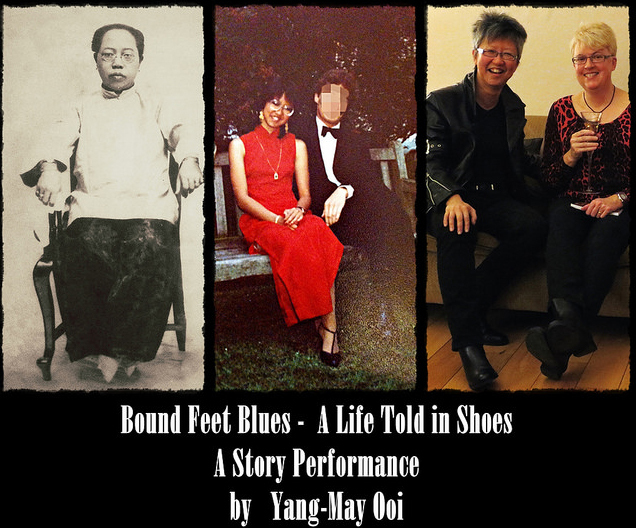 Bound Feet Blues interweaves the story of Yang-May’s great-grandmother whose feet were bound, with the author’s own personal coming-out story to explore what it means to be a woman, not just in ancient times in the East, but also for us today in the West. The talk will be illustrated with historical photos and family archive pictures. Yang-May will read sections from her memoir and also perform a short extract from the stage version of Bound Feet Blues.